The Naxi kingdom was an independent kingdom until the 1950s. The Naxi and related Mosuo people number today about 400,000. 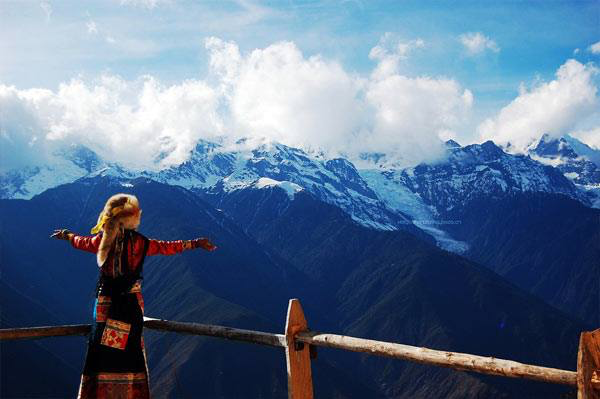 They live in what is now the northwest of China's Yunnan province. The biggest Naxi town in Lijiang, which is about 200 miles northeast of Myitkyina, just on the other side of the Kachin hills. The Naxi language is very closely related to Burmese. It is a Tibeo-Burman language and part of the Burma-Lolo group. It is more similar to Burmese than other Tibeto-Burman lanaguages such as Jingpo (Kachin) and Mizo or Zomi (Chin). The Naxi have a charming pictographic script. (Two images below. from the second you can see the similarity of the vocabulary with Burmese). The Mosuo are one of the world's last matriarchal societies, where the woman govern the household and often have more than one husband.